Anne Frank was a victim of the Holocaust. 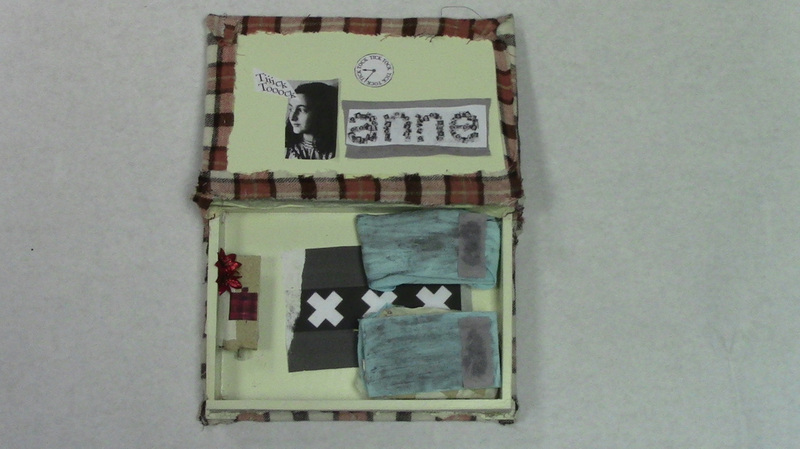 Shadow Box Description: This shadow box is about Anne Frank. 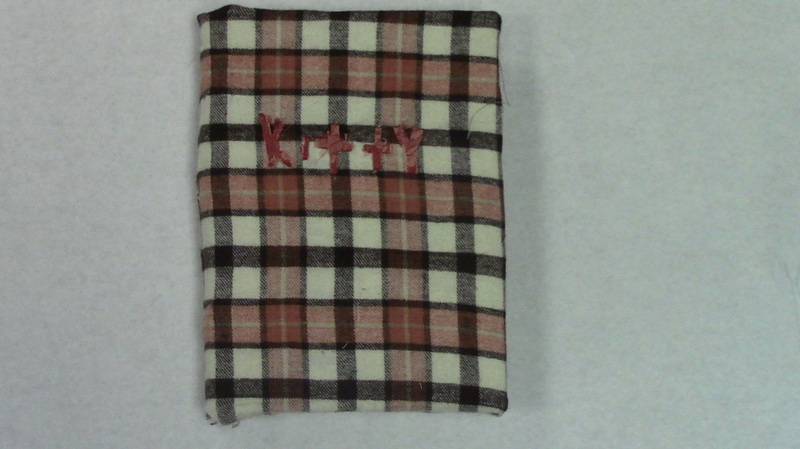 When you look at the box you think of her diary because it looks like her diary and It says Kitty on it because that is what she called her diary. When you open the book you see her room. There is a German flag on the floor thats grey and broken. Which represents her feeling that the Nazis were ruining Germany and taking away the happiness. You can also see her desk and her diary. Next to her diary there are red flowers that represent her happiness when she writes. The other part of the box includes a picture of her and the word “tik tok” next to her picture. That represents the fact that she feels like life is going so slow. I also represent the fact that she has to be very quiet. All she hears is “tik tok”. Anne Frank wrote her thoughts and feelings in a diary that she named “Kitty.” Even though she had to be quiet physically, she could be loud mentally. She did that by writing in her diary. Sadly, her whole family and the other family that was hiding with them was caught,separated, and sent to different camps, and everyone died except for Otto Frank, her father, who later published Anne Frank’s diary. The Frank family and the Van-Daans were hiding in a secret bookcase at Otto Frank's work place in Amsterdam so the German soldiers wouldn't catch them. Almost every night they would hear bombs and the whole building would shake. They were hiding for two to three years until they were caught and sent to concentration camps. Anne Frank had a normal childhood. She went to school, had friends, went to synagogue and had fun. She had an older sister named Margot, and her parents were named Edith Frank and Otto Frank. Anne wrote in her diary before the war, but not as thoughtfully. She mostly just wrote in her diary about her classmates and what she didn't like about school and her friends. Then when they found out that the Nazis were taking over, and they had no freedom even if they didn't hide, they went to hiding. They had to wear all their clothes at the same time as they went to the hiding place so that people wouldn’t know that they were going to hiding. When they were hiding all they could hear was the clock ticking and each others’ breaths. If they made any noise they could have their life taken away. When the Frank family and the Van-Daans were caught, unfortunately Anne Frank accidentally dropped her book and couldn't pick it up. Miep, the women who was helping to hide them, found the book and kept it with her until the end of the war. When the war ended Otto Frank found Miep, and she gave him the diary. Otto thought that maybe it would be a good way to tell people that the Holocaust did happen and it was a hard time for all Jews. Without her diary we wouldn’t know the struggle of being hidden and in fear of the Nazis.